Magnet fishing is the new hobby taking the UK and US by storm! So I decided to write a beginners guide to magnet fishing while I start out my magnet fishing adventures. I have called it the beginner’s guide because that is what I am a beginner. I have recently started a wonderful hobby of magnet fishing, alongside my other wonderful hobby of metal detecting. So as I learn all about magnet fishing, and start this journey, I wanted to teach you my findings and research and give you a few magnet fishing tips along the way. As I learn more I will of course update this guide. If you have any great tips to share or recommendations then please feel free to add them in the comments at the bottom of this page. This guide is good for those who want to magnet fish in the UK but also those from Europe and the US too. Obviously, though laws may be different depending on where you are so please be sure to check first. My main mission for this beginners guide to magnet fishing is to help you get started too! Magnet Fishing is the act of fishing with a very powerful magnet attached to a rope. Not trying to catch fish though, we are trying to attract metal objects to the magnet. Over the years many metal items have been disposed of or dropped into many different bodies of water like rivers, lakes or streams. These metal items include historic relics, modern-day gadgets, and many more interesting metal items. In recent years Magnet fishing has become increasingly popular and more and more people are getting started in this wonderful hobby every day. How do I get started magnet fishing? To get started in the magnet fishing hobby you’re not going to need a lot. It’s an inexpensive hobby. There are of course accessories you can add to your arsenal. Listed below are the things you need for magnet fishing, some are mandatory and some are optional. There are many options when choosing a strong magnet for magnet fishing. After extensive research as a beginner, I would suggest a Neodymium Magnet with an Eyebolt. Most Neodymium magnets will be fine, but it all depends on what you want to pull out. Different strengths and sizes are available, with some people even going for dual magnets! 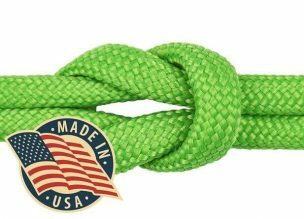 There are two options of rope that are highly recommended these are Nylon and Paracord which are considered the best magnet fishing rope. The higher the power the magnet the stronger the rope you will need. The rope that I have linked to above is probably the higest rated and strongest available. These will add protection to your hands, metal can be sharp and rusty. You don’t want to slice your hands open and cut your day short. It’s also a good way of keeping your hands dry and clean. Magnet fishing can be a dirty hobby. You can get some great cut resistant waterproof gloves! Magnet fishing can be very messy a cloth and some hand sanitizer will allow you to dry and clean your hands. Threadlock is an extra safety measure to prevent you from losing your Magnet. It is possible for the Eyebolt that is threaded into the Magnet to work loose. A heavy duty threadlock will prevent this from happening. Obviously, you will need to check the laws on carrying such items, a small penknife or pair of scissors should be fine. These can be very handy if your rope is tangled up with fishing wire, or other rope. Where can I go magnet fishing? Generally speaking, the same rules apply as they do in metal detecting, all land is owned by somebody and so are all lakes, rivers and streams. Which ultimately means if you want to ensure you aren’t breaking any laws or trespassing you will need to get permission. Try to look for a busy area, somewhere where there may have been a lot of people come and go in the past. Where people could have potentially dropped or lost things. Rivers are a great place to go Magnet fishing. You may still need permission from whoever owns the part of the river you want to go magnet fishing on. Rivers can be a very good place to go because over time many things will have been disposed of into the river and there have been many fishermen by the river. Try to find a good bridge to magnet fish off. Lakes are another good choice, same principles apply, make sure you have permission. Again things may have been intentionally thrown into the lake over the years, people fish lakes, and perhaps even swam the lake. The beach is perfect if you are struggling to get permissions. The same laws apply as they do to metal detecting a beach. Most beaches belong to the crown estate, not so long back you could apply for a simple permit to give you permission, however that has now been discontinued and you no longer require a permit. Just check that the beach you want to go to is crown owned. You can check the crown estate map here. Over the years there has been a lot of people on the beach, holidaymakers, fisherman, dog walkers etc so potentially some lost metallic items on the seabed. The only downside is that many could have sunken too far into the sand. There is definitely still potential to find things especially if you can find a good spot off the pier. Canals are a great place to magnet fish largely due to the traffic up and down over the years, many things have been dropped or thrown into the canals. Magnet fishing streams are perhaps one of the most simple places to enjoy this hobby, there’s also a lot of history in many streams. Your finds may not be as regular but never the less it’s a nice place to go, grab your wellies and off you go. Because streams are often so shallow it’s a great place to take the kids so they can safely enjoy the hobby too! What are the magnet fishing laws? At the moment there are no specific magnet fishing laws, that being said I would believe they would follow the same principles as the metal detecting laws and rules. Which in a nutshell means if you want to follow the proper legal channels then permission from the owner would be required. Yes, all rivers, canals, streams have owners. Although there have been no recorded cases of breaking the law while magnet fishing I would still recommend you research the area you would like to magnet fish, and contact the owner for permission. The one thing I could not find anywhere and I spent a lot of time looking was somewhere that would offer a public liability insurance for magnet fishing. If anyone knows the answer to this or can offer some advice as to where one could obtain such a thing then please let me know in the comments below. Yes, magnet fishing is legal and there are no laws against magnet fishing as of 2018. I have recently seen some text from the canal river trust that explains they “don’t allow” magnet fishing. In a nutshell, they state that it is very dangerous, with people pulling out WW2 hand grenades and live ammunition. So they do not allow magnet fishing in the waterways. That being said it mentions nothing of legalities, and it hasn’t stopped anyone from continuing this strange but wonderful hobby. At present, there have been no prosecutions nor have there been any reported circumstances of anyone being told to stop by any authorities. So is magnet fishing legal? Yes, magnet fishing is legal and there are no laws against magnet fishing as of 2018. I couldn’t actually find this anywhere so I decided to write up what I believe would be a good guideline. No Trespassing, Always ensure you have permission from the landowner to magnet fish there. Report all finds of historical importance and those defined under the treasure act. Report anything suspicious to the police or local authorities. Leave all areas tidy, do not leave unwanted finds or items left lying around. Dispose of them correctly and do not throw back into the water. There are believe it or “knot” a variety of different types of knots that serve different purposes. You are going to want to choose the right one for the task at hand. When Magnet fishing items that are attracted to the magnet can be very heavy or large. So we will want to choose a knot that is reliable and strong. What Knot Should I use when Magnet Fishing? There are literally hundreds of ways you can tie a knot. Again after extensive research, the most popular of all Magnet fishing knots is called the Palomar Knot. You can, of course, use other knots and some you may find simpler and more effective. It’s all about preference. I personally use the Palomar Knot and recommend it. A highly recommended knot type when magnet fishing is the Palomar Knot. The following video gives you a step by step guide on how to attach the rope to the eyebolt of the magnet. The best thing about the Palomar knot is that you have 2 loops that go through the eyebolt so if one wears thin and snaps, you won’t lose the magnet as you will still be attached. Once you have mastered how to do a knot you are comfortable with and you are sure it will be secure. It’s time to get set up! First, you need to cut a long strip of your rope/chord, ensure that you have more than enough to throw into the water and to be able to hold it securely. Tie the knot you are most comfortable with through the inside of the eyebolt of the magnet. Apply the thread lock if you have any to the thread and screw into the magnet. Test by throwing the magnet into an open area, checking that the magnet is secure. Once all is secure, you can throw into the body of water. 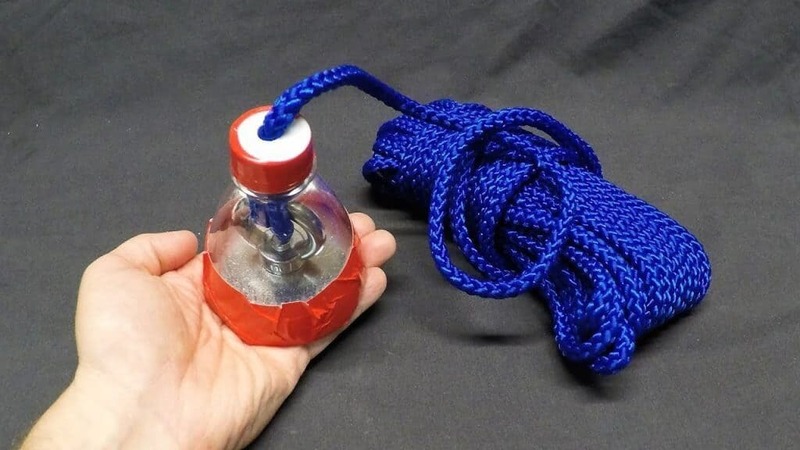 Protect your Magnet by cutting an old pop (soda) bottle and placing the rope through the lid. Photo Credit: Make it or break it YouTube. To be honest with you there is no real skill involved. I personally feel doing what works best for you is the key. As you get out more and practice you will find your way. For a complete beginner though you probably wonder how it actually works so here’s just a couple of simple methods I use. The best technique will also change depending on the area you are magnet fishing in and the obstacles in your way. A very basic and simple method and technique. Simply throw the magnet into the body of water, let the magnet sink and slowly pull back. For this method, you will throw in the magnet and wait for it to hit the bed at the bottom of the water, as you are pulling it in walk parallel to the magnet. A good tip to cover more ground is to try to drag the magnet from side to side as you are pulling it in. How do I clean my magnet fishing finds? The majority of your magnet fishing finds are going to be covered in rust. Sometimes they are that covered they are unidentifiable. So you’re going to need a safe way to clean and clear some of that rust away. Here are a few good techniques that may help without doing irreversible damage to the find. Please note there are many other ways of cleaning rust and your finds. These are in my opinion safer methods. If you believe that you have found something of importance and are concerned you may damage the item. Do not clean it. Look for expert advice. The natural acid in lemon juice works very well as a natural cleaner. You will find that some well known popular cleaning products contain lemon juice. To use this method you will need to rub salt all over the areas of rust that you want to clean, once you have coated the area, take half of a lemon and squeeze the juice all over the salt. Leave to soak for a couple of hours. Then scrub it off with a scouring pad or steel wool. If you want to cause fewer scratches I would recommend using a cloth or soft bristled brush. To use baking soda to clean rust you will need to make a paste from the Baking soda and water. Simply apply the paste to the rusted area and leave to sit for a couple of hours. Use either a scouring pad or steel wool to rub off the paste. If you are concerned again about scratches use a soft bristled brush or cloth. Vinegar is probably the best natural cleaner available. To remove rust using vinegar you will need to let your magnet fishing find soak in a bowl of vinegar overnight. You then scrub the item with a scourer or wire wool. Again use a cloth or soft brush if you are concerned you might damage the item. Larger magnet fishing finds you won’t be able to soak in a bowl of vinegar, a good method is to soak a rag in vinegar and wrap around the item. Some Recommended Magnet Fishing Kit! A very powerful and highly recommended magnet for magnet fishing. This magnet is more than enough power for what you need. I do highly recommend purchasing something like this for a beginner to save you having to upgrade later on or from the disappointment of a weaker magnet. You can pick this magnet on amazon. 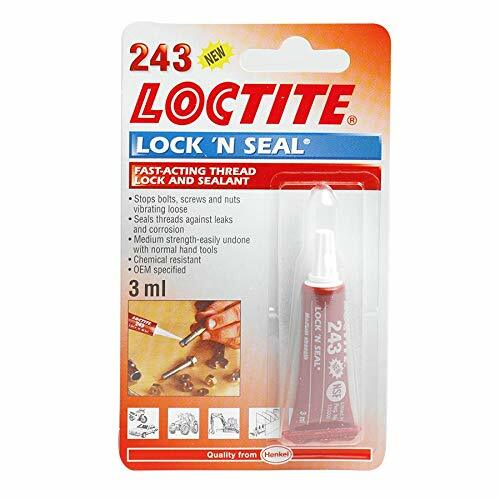 I would also suggest you purchase some threadlock for to ensure you do not lose your magnet. You can read even more about the best magnets for magnet fishing in the next section. What’s the best rope for magnet fishing? The ParaPro Paracord is the number 1 rated rope for magnet fishing. It is lightweight and made from 100% nylon with an inner core & an outer sheath woven over it for extra strength & versatility. 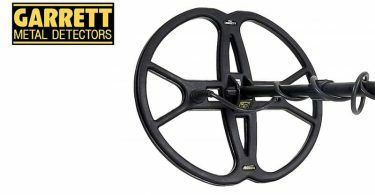 It is extremely strong and rated at a minimum of 250kg so works perfectly in conjunction with the Aitsite 226kg magnet. This will ensure you do not lose your magnet. Apply some to the thread of the eyebolt before you screw into the magnet. Very quick-drying and secure. If you’re a beginner to magnet fishing you’ve probably by now heard of Neodymium magnets, these are also known as “rare earth magnets” and are the most popular magnets for magnet fishing. Sometimes known as rare earth magnets or Super magnets, Neodymium magnets are the most powerful permanent magnet in the world. The smallest of neodymium magnets can lift over 1000 x their own weight. Neodymium magnets transmit magnetic fields that attract ferrous metal items from a great distance. The rare earth magnets are used for many things, by many people including magicians with some magic tricks. They can attract ferrous metal even through a human finger. They were created in the 1980’s and were used to help develop things like speakers, motors and power tools ultimately allowing the manufacturers to create much smaller products. The Neodymium magnets are made of iron, boron and an alloy of neodymium. Due to the sheer power of Neodymium magnets, they are the best magnets for magnet fishing. Neodymium magnets grades are determined by the material they are made up from. The easiest way for me to explain grading would be, the higher the number that follows the N in the grading the stronger the magnet. N52 is currently the highest possible grade, the number that follows the N is referring to the temperature rating of the magnet. How is temperature relevant to the magnets? Well, simply put, the numbers that follow the letter are the maximum operating temperature that the magnet can withstand before it starts to lose its magnetic property. There are many Neodymium magnets available in a variety of strengths. These strengths are measured in “pull power” Typically the bigger the magnet the bigger the pull-power. Before you choose your magnet and its pull strength you will have to decide on what items you are prepared to recover from the water. If you want to be able to pull out bikes, safes and other large heavy metal items you will need a bigger Neodymium magnet with higher pull power, you’ll also want a stronger rope. If you are only wanting to pull out smaller items then you should go for less pull power. 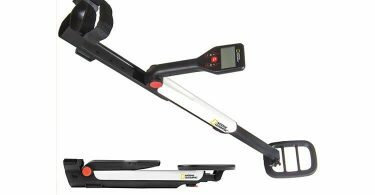 Pull-power is measured in lbs or kgs. So if you see 1000lbs or 453 kgs pull power on a magnet then I believe this is the largest and strongest of magnets for magnet fishing. Where can I buy Neodymium magnets? You can buy neodymium magnets online from both Amazon and eBay and have them delivered straight to your door. Both of these marketplaces are safe to purchase from and have buyer protection so you can rest assured your Neodymium magnets will be the best quality and will be delivered safely. The second type of magnet I would recommend is a Ferrite magnet. These are not as powerful as the Neodymium magnets but are a cheaper alternative. You can see the differences between the two further down this post. They are a popular choice and are also one of the best magnets for magnet fishing. What is a ferrite magnet? A Ferrite magnet is also referred to as a ceramic magnet or hard ferrite magnet. They are electrically insulating and exist in two different forms. Strontium Ferrite and Barium Ferrite. The more common of the two types is Strontium. They are usually dark grey in colour and resemble pencil lead. You’ve probably seen this type of magnet at school or on the back of a fridge magnet. Ferrite magnets are a popular choice of magnets because they are free from corrosion and last a very long time. They also have a high-temperature tolerance and do not lose strength in temperatures up to 250 degrees Celsius, sometimes higher. The Ferrite magnets are typically cheaper than other types of magnets as they do not include any rare earth materials. Usually, they are made from Iron oxide and barium or strontium carbonate. Originally the grades of Ferrite started with the letter C, this is still used in the USA and UK sometimes. They are more commonly graded with the letter Y today. The Y is an identifier for a ceramic magnet or hard ferrite magnet. The letter Y is proceeded by a number and represents the BHmax energy product. There are currently 27 grades of ferrite magnet. Confused yet? I know I am. The most popular grades of Ferrite magnets are Y30. Again as per Neodymium magnets, Ferrite magnets are available in different strengths. These strengths also are measure in pull power. Unlike Neodymium ferrite are not nearly as strong so you will need a bigger ferrite magnet to achieve higher pull powers. If you are magnet fishing and you don’t have a big budget and you’re not interested in pulling out really large items then ferrite magnets are a good choice. To achieve a higher pull power custom rigs can be made by combining two or more ferrite magnets. I believe from my research approximately 130kg pull power is the maximum size ferrite magnet you can get. Where can I buy ferrite magnets? You can buy ferrite magnets online from Amazon and eBay and have them delivered straight to your door. You can also purchase magnets from some reputable magnet retailers like first4magnets. The first difference between Neodymium and Ferrite magnets is the price. Ferrite magnets are much cheaper than Neodymium magnets because of the material they are created from. Ferrite magnets do not contain any rare earth materials like Neodymium magnets do. The second is working temperature, ferrite magnets work fantastically between -40 degrees and 250 degrees. Most neodymium magnets would lose their magnetic properties at the higher end of the temperature. However, temperatures on the lower end will not effect neodymium magnets. It can actually increase their performance and power. Appearance and material is the third difference, a ferrite magnet is dark grey in colour and can break into pieces when repeatedly put under strain. Neodymium magnets are more attractive, they are coated in nickel-copper and are silver in colour, they are also rather brittle and can crack. 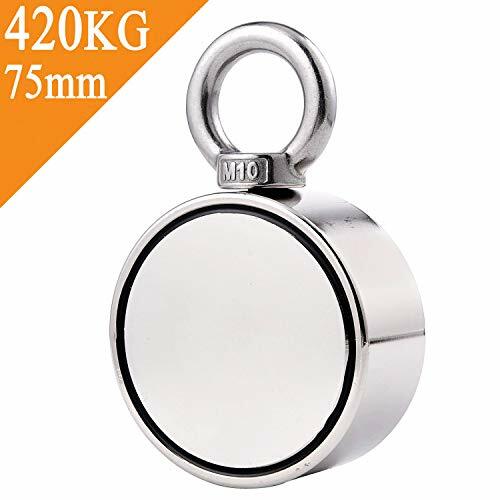 Both are good magnets for magnet fishing, if you are looking at pulling large items from bodies of water then I personally would choose a neodymium magnet. However, if you’re looking at pulling just smaller items from the water then ferrite magnets will suffice. In light of the recent tragedy and deaths of the magnet fishing father and son, I have decided to add a small section on the importance of safety while partaking in the hobby. Generally speaking, providing you use common sense and some extra caution magnet fishing is a fun and safe hobby, however, there are of course a few small things you should be aware of. There are of course dangerous objects in the deep waters, these could include unexploded bombs from the world wars. There are weeds and other things in the water that could potentially tangle your magnet or if you fell in YOU! The banks and edges can be slippery and dangerous. Wellington boots are a danger in deep water! Never tie a magnet to yourself, the magnets are powerful and will attract heavy large objects. If your magnet gets stuck or tangled do not jump into free it. Is losing a magnet worth risking your life? Many magnet fishermen will tell you that they have done this without any kind of danger, however, once you are in the water no matter how much of a good swimmer or shallow the water is, the risk and dangers increase. There are other ways of retrieving a magnet safely, for example using a “come-along” cable puller. Wear gloves, these won’t just protect you from cuts, and damage from the metal you are finding, these will also protect you from rope burn and Weil’s disease. If you’re going to have a sandwich for lunch wash your hands thoroughly with a hand sanitizer beforehand. Assess the area you are magnet fishing in first, look out for signs of danger, for example, areas where you could fall in, mud sliding, traffic behind you if you are fishing off a bridge. I’d also recommend carrying a small portable first aid kit with you. You could also go as far as wearing a life jacket/belt. The only downside would be the limited mobility while wearing one, so you could even look at buoyancy jackets. These are not “life-saving” aids, but they are designed to help you float should you fall in and could potentially save your life. A Neodymium magnet is the most powerful available per unit volume. These magnets will sometimes be also called “rare Earth magnets”. The manufacturing process is very complex. Vacuum melting, milling, pressing and sintering. The magnets are then broken down by slicing into smaller sized magnets or ground down by using grinding tools. Learn more about neodymium magnets. Simply put pure gold is not magnetic. So don’t expect hoards of treasure to attach itself to your magnet. That doesn’t mean though that the container holding the gold isn’t magnetic….you catch my drift. What will I find Magnet Fishing? There is potential to find just about anything metallic. People have found many interesting items including coins, knives, safes, bikes, bullets, tools, cannon balls, guns & pistols, swords someone even found an Enigma codebreaking machine from WWII! The list is endless and this is why magnet fishing is becoming so increasingly popular! A great magnet fisher to follow on YouTube is Gareth – He records his magnet fishing finds and has discovered everything from Crossbows to Guns! How much rope do I need for magnet fishing? You will need in my opinion approximately 20 – 30 meters of rope. Anything more is overkill and could increase the chance of you getting tangled up. A good way to test if you need more rope is to throw your magnet and rope as far as you can if you can throw further than the amount of rope you have then you may want to get a longer rope. What do I do if my magnet gets stuck? I saw a post somewhere on the internet forums not so long ago about a magnet fisherman who had got his mega powerful magnet stuck to the metal bridge. He was looking for tips on how to get it unstuck. So I thought I would just include this information here. There are 3 suggestions that were made that seem to be the most popular techniques for getting your magnet unstuck from an unwanted location. Get a wooden wedge and use it to pry between the magnet and unwanted metal. A rubber mallet, which is a more aggressive approach. Please be aware some people would believe that the impact can help demagnetise the magnet, whereas others believe that it would take a hell of a lot more force to have any effect on the magnetism. Use this approach at your own risk. A large flat head screwdriver or pry bar put it through the eyelet and then push/pull upwards. How do I clean my magnet? To ensure your magnet lasts for a long time and to decrease the chance of it losing power it’s probably a good idea that you give it a clean every now and then. You can use an old toothbrush to give it a going over every few throws, then a quick dry off with an old rag this will be more than sufficient. This will get rid of any of the iron sand or crap that builds up. Generally speaking, this hobby is relatively simple. You will find your own way after you get out there and practice. There is no right or wrong way to do things. I suggest you be aware of safety precautions and act responsibly when near to the water. When removing metal items from the magnet as well you should always be careful, remember the magnet will try to pull the metal back to it, you do not want to get your fingers in the way. Get permission if it is needed for the place you wish to magnet fish on. Take your time and have fun. Magnet fishing is very exciting. As I am learning more and getting out more, I’m really starting to find the hobby intriguing. Some of the things you find really are exciting. Metal detecting will always be my number one hobby, however, Magnet fishing is fantastic for those who can’t afford a metal detector. It’s a very cheap hobby to start and very simple. If I were you I would also visit YouTube there are many magnet fishers out there that have YouTube channels and record their findings, adventures and best tips! Thanks for the information it was very useful to me. Do you no eney were next to Newcastle or Gateshead as I don’t no were to go first. I got the 300 kg neodymium magnet and rope is already got loop in it. If you can help it would be very great full thanks Christopher for all the help thanks. Wear a lightweight life jacket, the type which will automatically inflate and/or use a cord to inflate if you fall in the water! Sadly, people have died, after getting into difficulty. I find this sort of jacket offers great mobility. Thank you, Gary, great safety advice! Great article a very informative read I’m exploring with Jay on you tube iv been chucking magnets into the water for 20+ years. I started with an old speaker magnet and now use a neodymium. My biggest tip: Go where the people go busy bridges public docks/piers boat slips even areas of historic importance. Do your research. Or find a spot and start chuckin and hope for the best. This is a really helpful article! My son is wanting to start magnet fishing, so I started doing research and came across this article. Thanks for writing such an informative page!